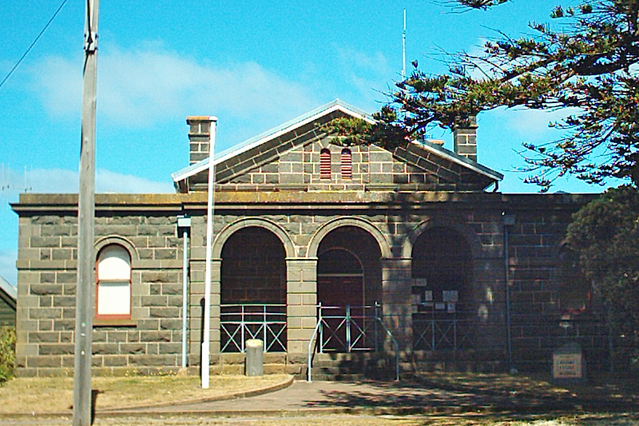 Port Fairy Historical Society, Port Fairy, Victoria, Australia, on the Great Ocean Road. Online information includes museum hours, location, society history, society today, functions, research, displays and exhibitions, historic walks, simple and detailed research, archives, memberships, and publications. We welcome you not only to the History Centre but to our delightful town. The History Centre features changing displays covering various aspects of our past. We sell a number of local history publications, details are on our "publications" page. We meet regularly and most meetings feature a guest speaker. We welcome visitors to our meetings, details of which are on the "functions" page.